$245 - Check this out! 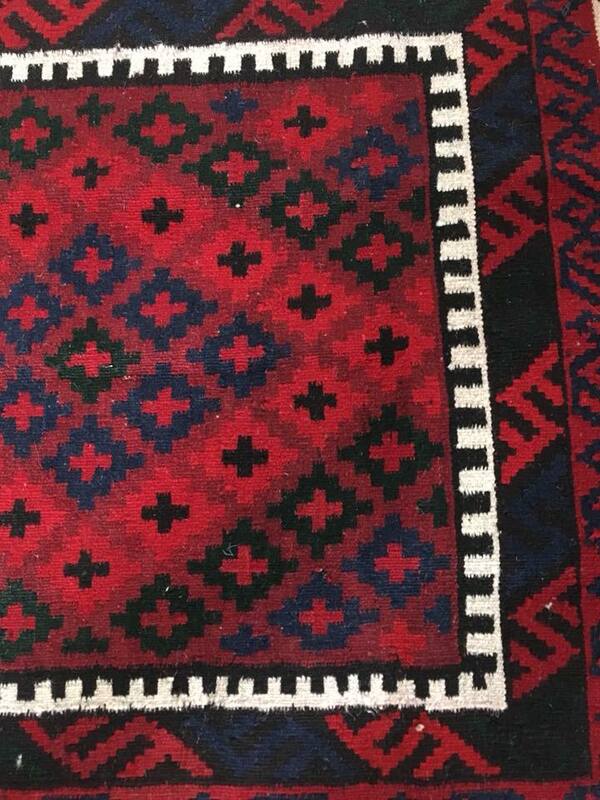 Retro 13’ statement runner with under pad. 166” x 53” Has a seam split - priced accordingly. $725 - Antique painted pine jam cupboard with sloped top. Vintage leather sofa from the Drake Hotel Toronto. Wear and a few tears but great! $290 - Vintage TEAK tallboy dresser. A few dings and paint drips. 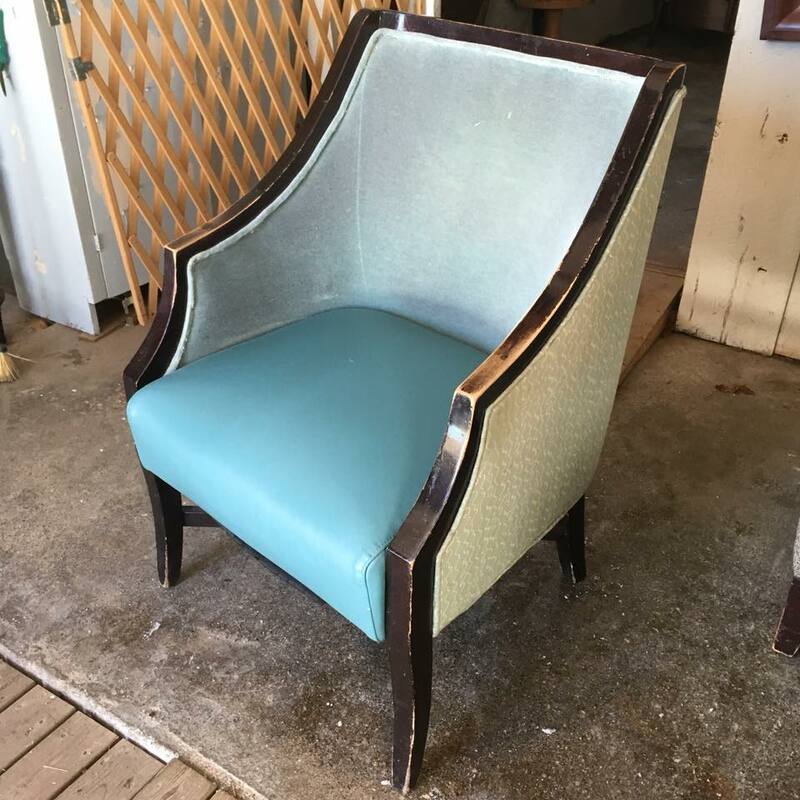 $265 each or $500/pair - Hotel grade upholstered chairs. Great side chair with vinyl seat. 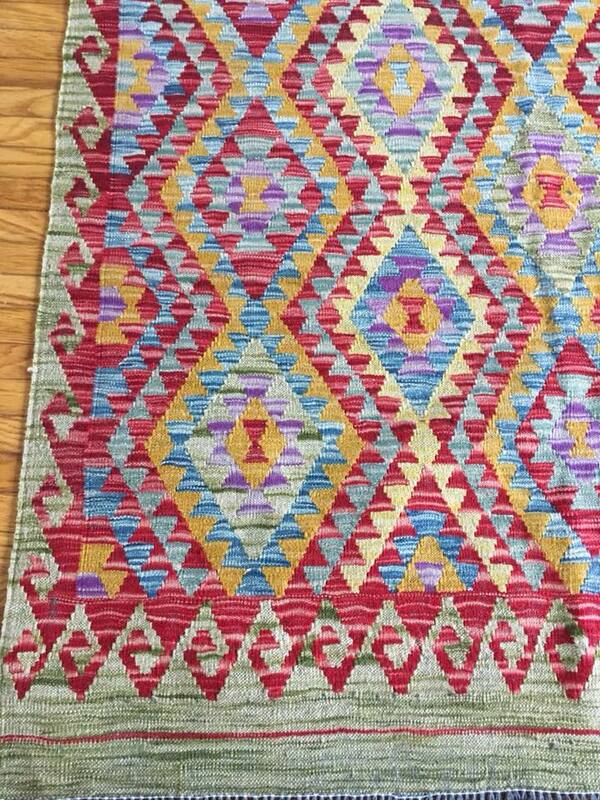 Variety of new Kilim rugs! 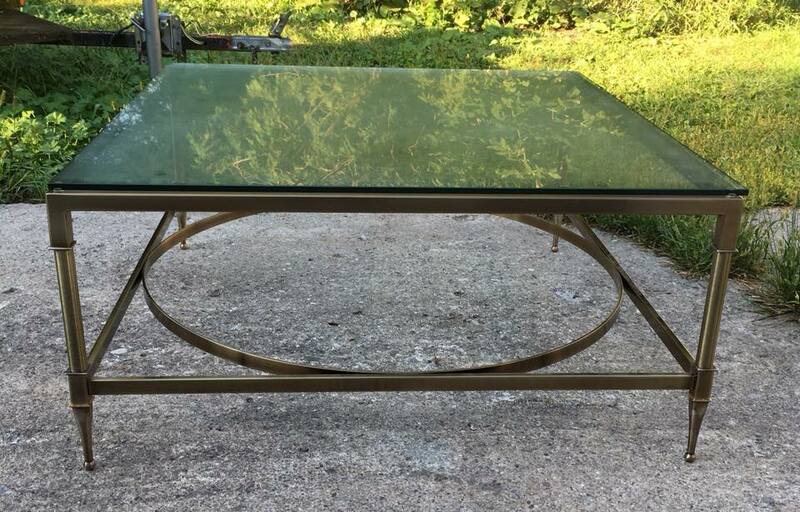 $190 - Vintage 30” square teak coffee table with brass feet. 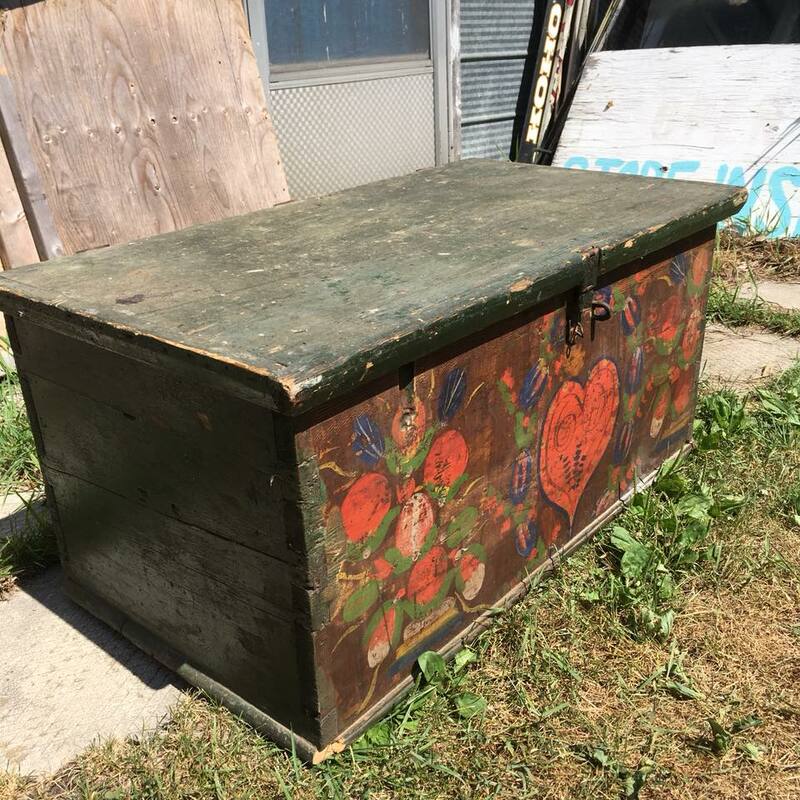 $345 - Super cute antique painted pine trunk. 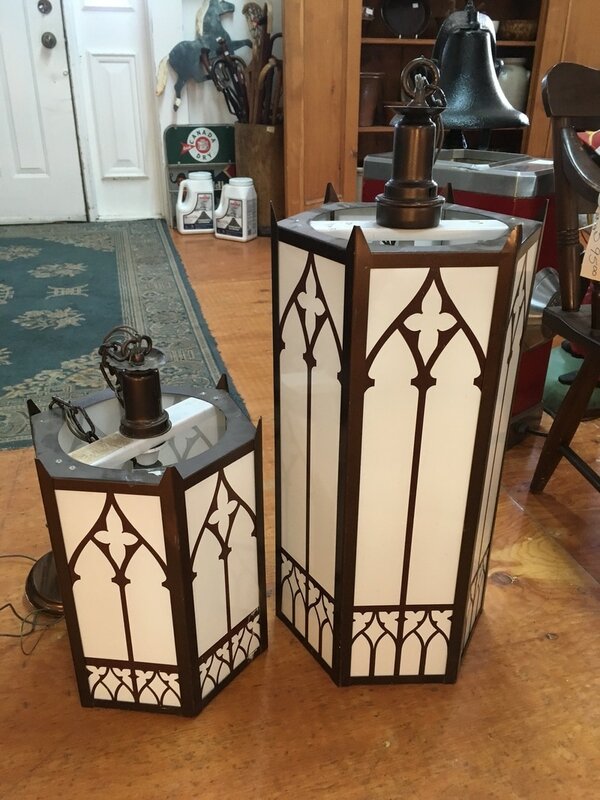 $55 each - vintage glass light fixtures with stars detail. $190 - 5’ long antique reupholstered bench from Toronto hotel. $220 - Vintage DREXEL walnut side table with drawers & 2 side cubbies. 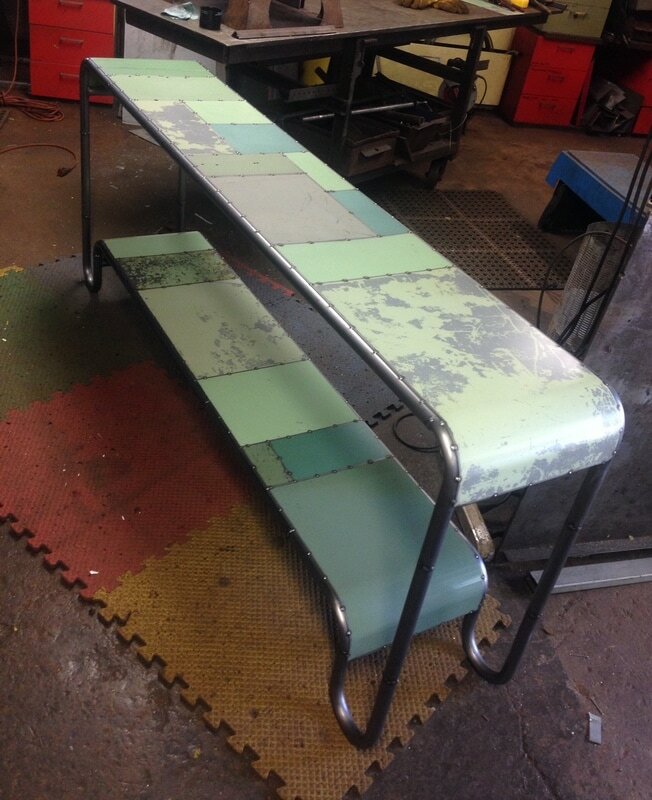 $1200 - Recycled metal SOFA/CONSOLE TABLE made by Doug Meyer of Rustbelt Rebirth. Measures 7' x 33" x 13"
$245 - Large - Vintage gothic style metal light fixture from a church. 31" x 13"
$145 - Smaller measures 19" x 12"
$285 each - Custom Curly Maple BOOK SHELVES. Measure 30" x 43" x 8.5" deep. $220 - Antique painted COUNTER TOP DISPLAY CABINET. 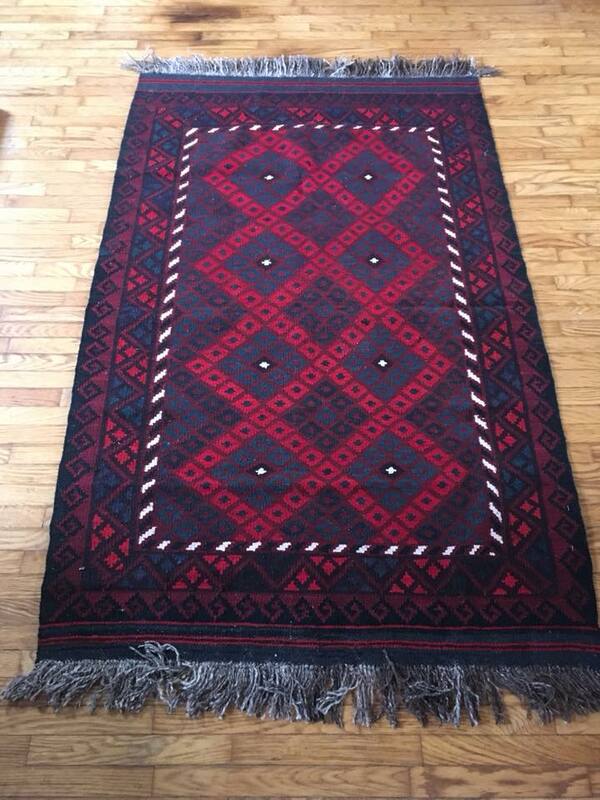 Measures 30" x 34 3/4" x 16" deep.